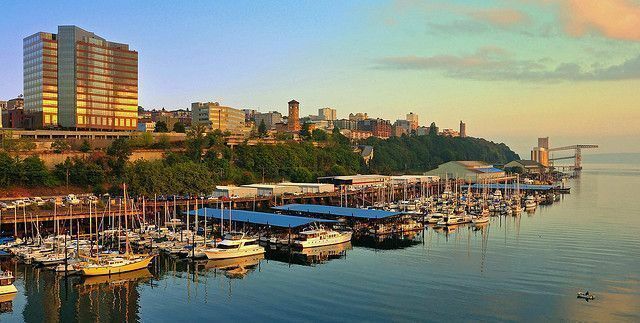 Investing in real estate in the Tacoma and Seattle area has provided a good living for many people. At Washington Realty Group, we work with investors, small and big, to find the properties that best work into their business model. A lot of the homes we sell are distressed properties, bank-owned and short sales. Jim Clifford has a long career history of developing relationships with many banks and asset companies to sell their bank-owned properties. By getting distressed properties back on the market quickly, we help to keep communities thriving. Bank-owned homes are a common source of interest to investors, since they are often priced lower than a comparable home due to the work that needs to be performed to bring them up to livable condition. This price reduction can be utilized by investors to create a profit either by flipping the home or renting out the home. One of the main reasons that people buy real estate is due to its appreciation in value. As the economy moves along, home prices over time tend to go up. There may be ups and downs, but overall assets increase in value, and the longer one holds on to the property, the more its value increases. For example, a home purchased new during the 1950s for $25,000 could be sold 50 years later for $600,000. This is one of the benefits to many home buyers and to investors who hold on to properties for a long time. In order to buy a home, one needs money. Some Bank-Owned home sales require cash only, which means the person needs to have all of the cash ready in a bank account to complete the transaction. Financing an investment property can be a little more difficult than a primary residence since there is more risk involved. If a person plans on renting out the property that they are trying to purchase, it might be possible to use a portion of the potential rental income to help qualify for a mortgage. Real estate can be acquired by using leverage of one’s own money. For a small down payment, one can control a larger amount of money. So a $15,000, 10% down payment on a home can be leveraged to purchase a $150,000 home. Any amount of money one receives from real estate is considered income, and is therefore taxable. A savvy investor will have spent time with a knowledgeable tax accountant to ensure that they understand all of the tax codes and can make the most of their investment. Financial planning is an important step in determining which properties a person will buy and which ones to ignore. One area of interest to an investor is depreciation, which can be used to offset income. Purchasing a property and then renting out the property to someone else creates a long-term source of cash flow for the owner. The longer a person holds on to the property, the more they will benefit from the appreciation of the property. In addition, as the mortgage gets paid down, the equity in the home can be used to finance other investments. Some people do not like to hang on to a property for long or do not want to worry about being a landlord, so they buy a home, make repairs and updates, and then sell it for more money than they put into it. Another variation of flipping a home is called wholesaling. With this method, a person creates a contract purchase of a home–usually at a discount, and with a very small deposit. In the contract, the buyer is allowed to sign over the sale to someone else, or can even back out of the contract. The “buyer” then finds another buyer to sell to at a higher price than he bought it. Essentially, the wholesaler takes a small profit for finding the house and getting the deal started. Short-term rentals work best in areas where there is demand for a comfortable short term living space–usually around recreation areas, hospitals, universities and metro business centers. Short term rentals can bring in twice the amount of rent than if they were rented out long-term. Short-term rentals have many benefits, but can also create some headaches due to 1) the high turnover rate of residents and 2) a greater amount of wear and tear on the home. As the economy improves and more people move into an area, new single-family residences and multifamily properties need to be built. Developing land takes a lot more money, work and time. A lot of planning, upfront costs, construction management and inspections are required to make a new area of construction work.